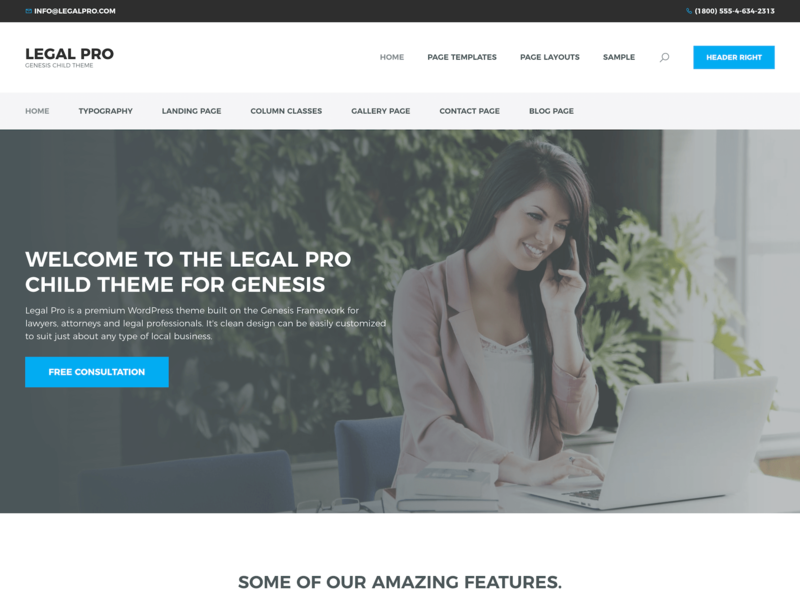 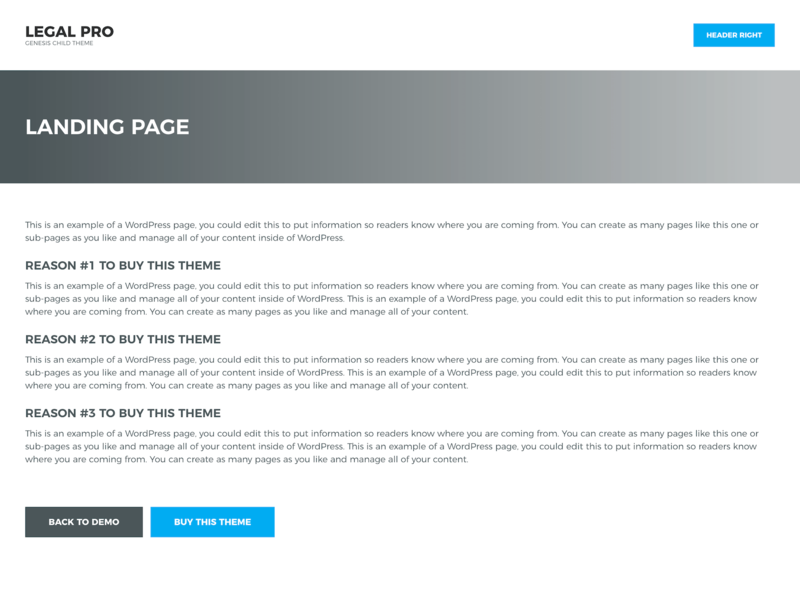 Legal Pro is a premium WordPress theme built on the Genesis Framework for lawyers, attorneys and legal professionals. 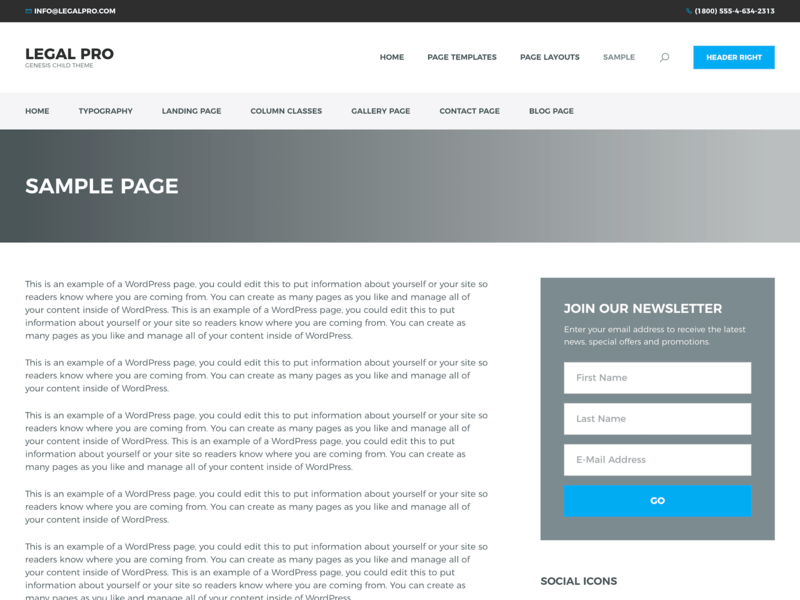 It's clean and corporate design can easily be customized to suit just about any type of business. 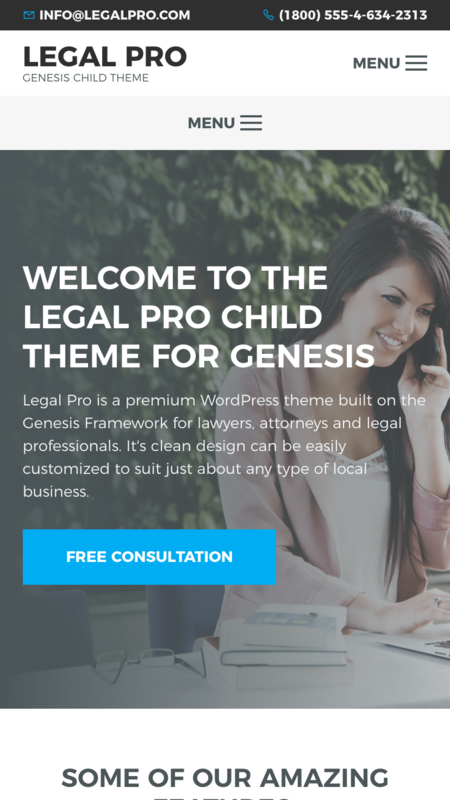 * Please note that this theme requires the Genesis Framework.